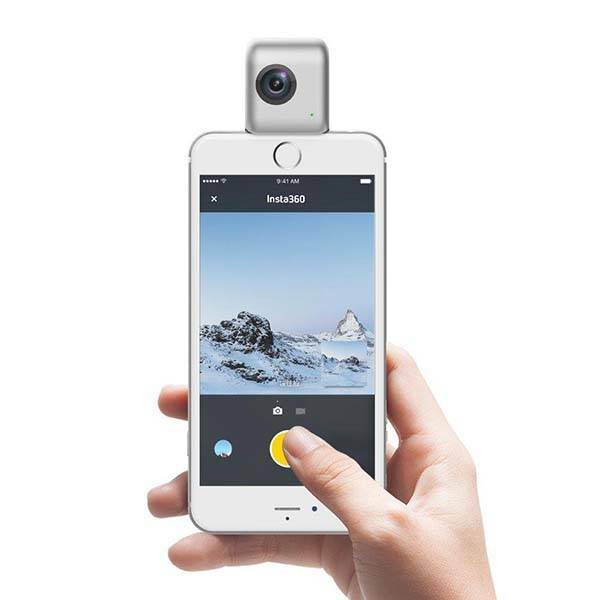 Using its integrated Lightning connector, Insta360 Nano turns your iPhone into a VR camera, and its two fisheye lenses have the ability to capture immersive 360-degree videos and photos. 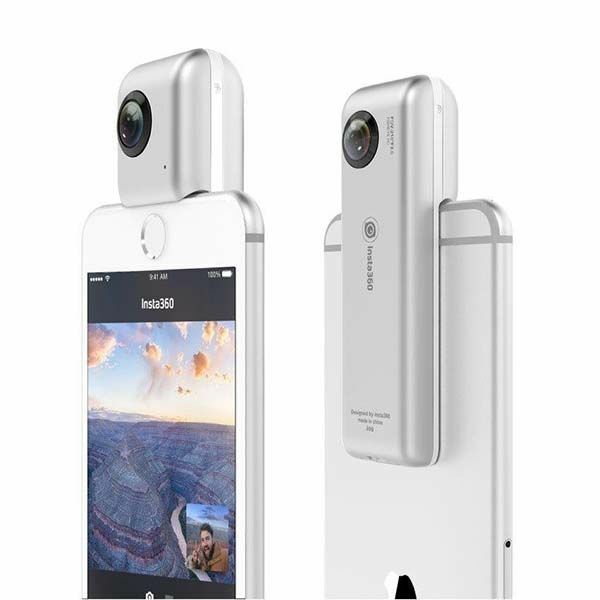 The Insta360 Nano is a uniquely designed and advanced VR camera that works with iPhone 6/6s and iPhone 6/6s Plus. As we can see from the images, the VR camera shows off an ultra compact appearance, so you can easily slide it in your pocket for easy carrying, and its smooth contours and charming coating enable it to match well with your premium handset. The mini camera comes equipped with dual 210-degree fisheye lenses and dual image sensors in order to record up to 3K 360-degree videos at 30 fps. 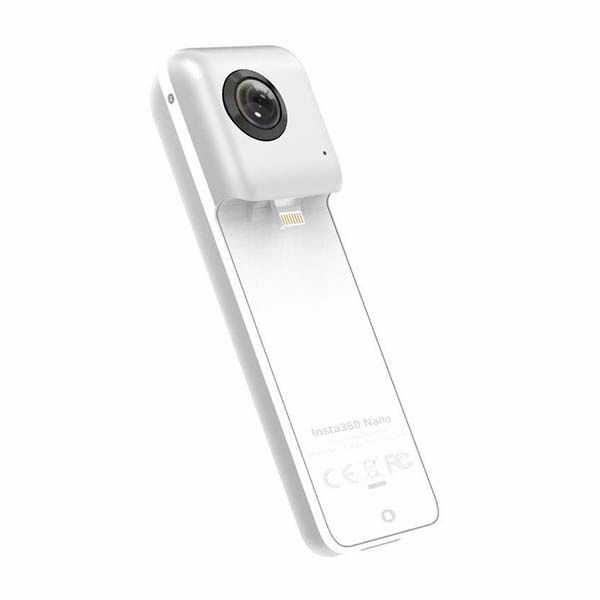 Furthermore, the Insta360 Nano features an integrated Lightning connector, so you can easily attach it onto your iPhone, delivering a more comfortable control and viewing experience. Of course, you can also use it as a standalone spherical camera, or connect it with other smartphones with a transfer cable. Moreover, your 360-degree photos and videos are available for preview in real time and you can also easily share them with your friends and family via social media. The VR camera also includes a VR headset which allows you to fully immerse in the 360-degree videos and photos you captured. The Insta360 Nano VR camera is priced at $199 USD. If you’re interested, jump to Amazon for its more details. BTW, also don’t miss another 360-degree VR camera and more related cool stuff by following tags.